Re: The (Talkhaus) Price is Right Mini Ep. 2 - Perfect to give as a gift! And let's cap it off with the old $1227 this time. And. 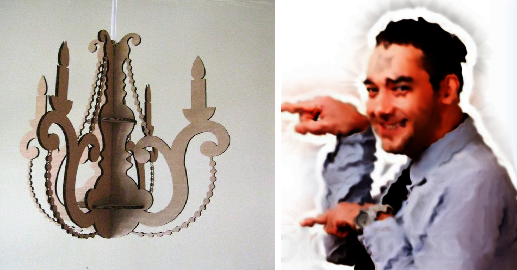 The actual retail price of that chandelier is... $933! pholtos! Get on up here, because have we got a prize that'll brighten up your holiday season! It's the return of the revenge of the revenge of the return of the Punchboard! 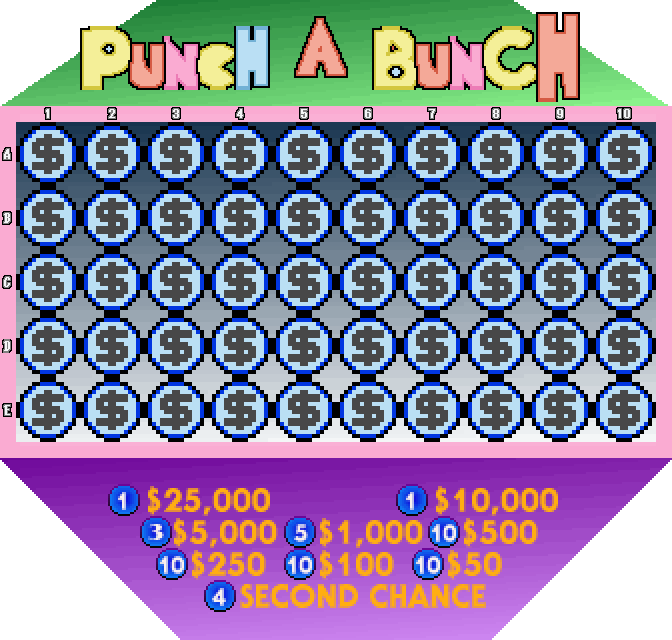 Each of those holes contains anywhere from $50 all the way up to that coveted $25,000, with the exact odds of finding each value displayed on the bottom of the board. How this works is simple: I'll give you up to four punches on that board. You punch out a hole, and you'll win whatever's in it. But you don't get these punches for free, son! You gotta *earn* 'em! And how? Well. Meya: Here's a fine coffee maker, from Morning Masters, which brews up to 12 cups of your favorite coffee! Comes with an attachment that automatically opens little creamer cups! Now. That coffee maker's listed price of $30 is wrong. The right price is either higher, or lower. If you get it right, you'll win that item, you'll win a punch on the board, and we'll move on to another small prize. That's how this goes. Ayjo and Meya are watching you. Be on your best behavior. On hiatus. It'll return someday. I assume that's Higher... *lifts flap* ...which is good, because you're right! 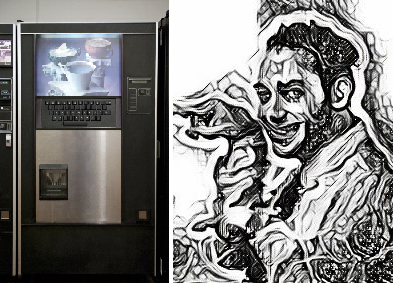 That coffee maker is actually $55. You win a punch, and... here comes another prize. Meya: It's a sheet and blanket set! Fine cotton sheets in a vibrant blue, as well as a warm quilt, perfect for winter, from Apparel Aces. And that price is not $22. Is it higher, or lower? Yessir! Now what's our next prize? 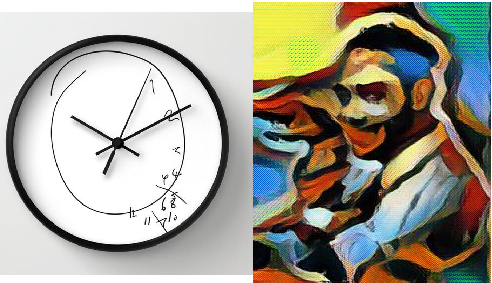 Meya: A wall clock! This finely crafted 10-inch finished pine timepiece from Time Lords has a faux Victorian-era design to it. Guaranteed to look great in your living room, study, office, or anywhere else in your home! And that clock is *not* $120. Is it higher or lower? *flips card, revealing it's $89* Indeed! Now here's our last prize. Meya: It's a bread making machine! Create your very own delicious breads with this handy device from Kitchen Masters. A recipe book has also been included! And the wrong price is $99. Higher or lower? *flips card, revealing it's $70* *buzzer* Nooope. Not this time. But. You still have three punches, and that could still get you a good chunk o' change. Now. (Using the coordinates shown on the board), punch out three holes! But *don't* pull out the slip of paper in them! We do that afterwards! Well. You got $100. That's... unremarkable. But is that fine with you, or do you want to give it up and try for a bigger prize in the second hole? Well then. That $100... *tosses card aside* Gone. And... *reaches into the second hole* ...well, you've improved. $250. Now, you only have one more chance left. What'll it be? It's ... uh, $50. You went down. And, uh... that's what you get. But hey. It's more than you won the last few times you came up on stage! And who knows, maybe you'll be in the Showcase at the end! For now, though... a word from our sponsors. "You love it, we love it, and if you don't listen to our demands, we will take it from you, and you will never B the same"
Re: The (Talkhaus) Price is Right Mini Ep. 2 - Prize?!?! Ehem... It looks like we have time for one more contestant. Who's it gonna be? Meya: It's a new face! MonkeyShrapnel, come on down! You're the next contestant on the Talkhaus Price is Right! And what's our final item up for bids today, then? Meya: It's an arcade game! Talkhaus Games proudly presents A Puzzle Game Thing! Lead Demo or Iris through 128 levels of action-packed, block busting, puzzle-platforming, as they take on the Siblings and the mysterious Artist! And, well. Monkey bids first, followed by Bean, Kshaard, and Calamari. Demo! Uh...Do I just sign here? What do you mean it should be obvious? There are people in this world...well...a whole lot of people that can't follow basic instructions!